Rory Cunningham believes that Australia’s capital markets are an excellent platform for funding technology and high-growth companies. This stems from his ten years of experience in financial markets, including Perpetual and Fidelity Investments. In 2001, Rory graduated with a Bachelor’s Degree in Commerce, Major in Accounting and Finance, from the University of Western Sydney. A year later, he obtained a Bachelor’s Degree in Commerce from the Wilfrid Laurier University. Prior to joining ASX, Rory started as an Adviser Services Consultant & Account Manager at Perpetual, where he handled self-managed superannuation funds and liaised with clients on stock market trades and asset transfers. In 2008, Rory became an Account Manager at Fidelity Investments in Sydney and Canada where was in charge of developing and implementing new business strategies including product development and customer segmentation. Rory later on earned a Master’s Degree in Business Administration from the University of Sydney in 2012. Some of his undertakings include the China International Business Project, where he and a team developed a 5-year strategic plan and market entry strategy for the global potash industry in the Republic of Congo. 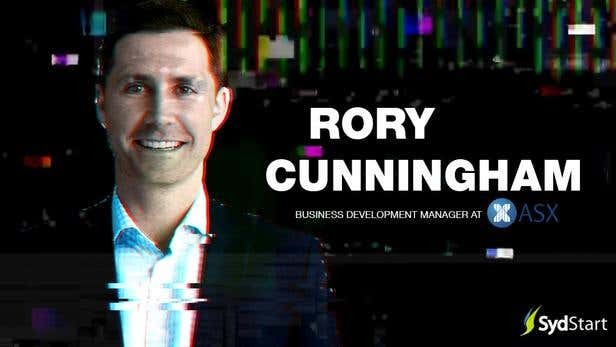 Rory is currently the Business Development Manager at ASX, developing ASX’s listings business, and promoting the exchange as a capital raising venue to both domestic and international companies. Catch him at SydStart, Australia’s largest startup conference yet. His talk is entitled, "IPOs 101: Listing on the Fourth Biggest Equity Capital Market in the World." SalePlate allows retailers, especially small businesses, to upload deals for the day from either a smartphone or computer.